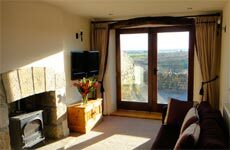 Mount Bark Farm is a small-holding located in Nidderdale, North Yorkshire, an Area of Outstanding Natural Beauty. Scott and Sarah Fisher have converted a large barn into two luxurious self-contained cottages. Barn Owl Cottage sleeps up to seven and Little Owl Cottage offers a romantic retreat for a couple or cosy accommodation for up to four. The cottages are south-facing and have wonderful Dales views down to their private lake, where you can watch the antics of a wide range of resident and visiting birds. 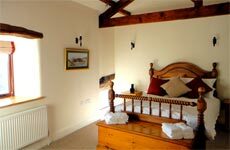 Barn Owl Cottage sleeps up to 7. 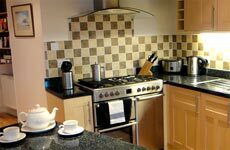 The cottage offers a farm-house well equipped kitchen with large range cooker, oak flooring and wood-burner. The living room has another wood-burning stove, a flat screen TV/DVD, CD/radio with i-pod docking station and lovely views through the French windows. Master double ensuite bedroom, double bedroom, adult size bunk bedroom. Family bathroom. Sun-trap patio for outdoor dining with steps down to a further large patio area, with barbecue lawn with far-reaching views. 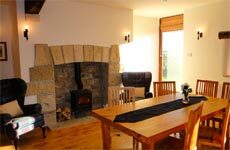 Little Owl Cottage is ideally suited for couple holidays or a group of 4. There is an open plan ground floor with oak flooring throughout. Modern kitchen with range cooker. Dining area and a large living space with a wood-burning stove and flat-screen TV/DVD. The master bedroom is huge, with king-size bed, magnificent views and a en-suite with large corner bath and separate power-shower. The second bedroom has adult sized bunk-beds. The family bathroom has a double-ended bath and separate power shower. Outside there is a secluded patio area for outside dining and a pretty cottage garden.